Nostalgia at it’s highest level! 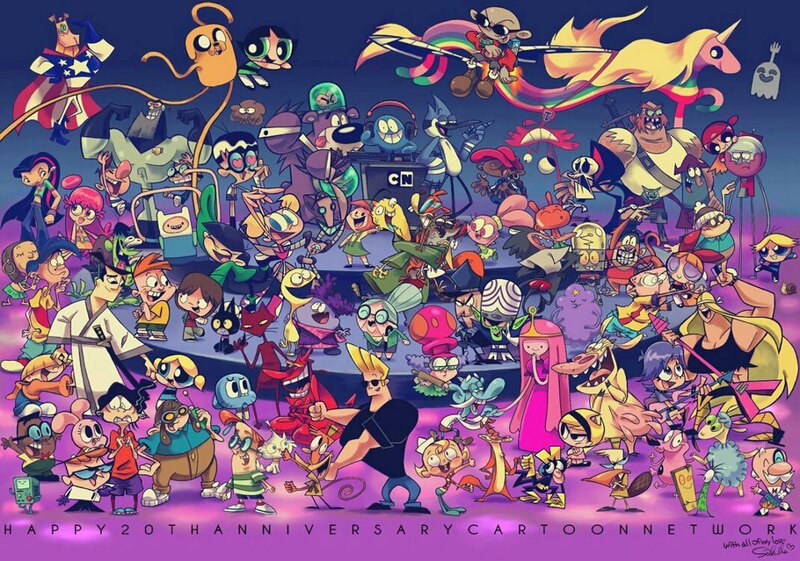 It’s Cartoon network’s 20th anniversary this year. I saw this picture on Facebook this morning. And the nostalgia just washed all over me. This is my childhood. I see that two or tree programs are pretty new (so I haven’t seen them) but I still recognize them! Power puff girls, Dexter’s laboratory, Ed, Edd n’ Eddie, Courage the cowardly dog, Fosters home for imaginary friends, Cow & Chicken, I am Weasel, Johnny Bravo, Sheep in the big city, Time squad, Samurai Jack, The Grim adventures of Billy and Mandy, Codename: Kids Next Door, Hi Hi Puffy AmiYumi, The Life and Times of Juniper Lee, Camp Lazlo, My Gym Partner’s a Monkey ect. There’s so much more (See: List of broadcast programs by Cartoon network) but these are the ones that I remembered. I also know what Adventure Time is but just like My Little Pony: Friendship Is Magic, It just flew by me haha. I hope you enjoyed the nostalgia!